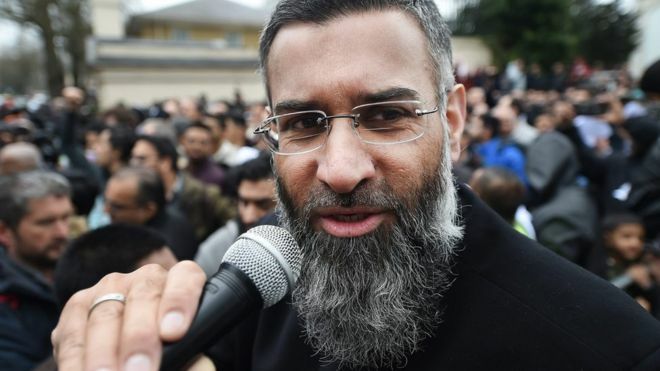 Radical preacher Anjem Choudary jailed for five years | Welcome to Dare Lasisi's blog! Police say Choudary's followers carried out attacks in the UK and abroad. The trial heard the pair also used speeches to urge support for IS after it declared a caliphate in the summer of 2014. 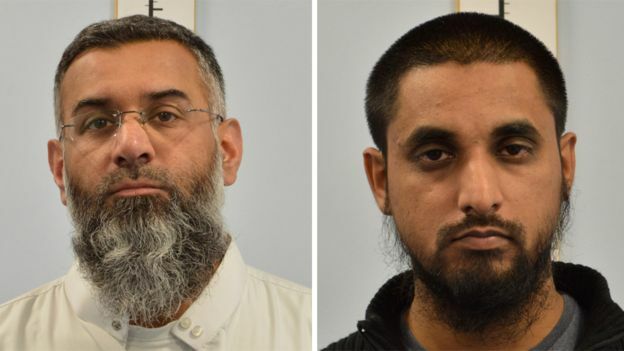 Choudary, of Ilford, east London, and Rahman, from Palmers Green, north London, were convicted last month of inviting support for IS - an offence contrary to section 12 of the Terrorism Act 2000 - between 29 June 2014 and 6 March 2015. But they said they had been unable to act for many years as Choudary - a former solicitor - had stayed "just within the law". Sue Hemming, CPS Head of Counter Terrorism said: "Both men were fully aware that Daesh is a proscribed terrorist group responsible for brutal activities and that what they themselves were doing was illegal. "Those who invite others to support such organisations will be prosecuted and jailed for their crimes." Kalsoom Bashir from counter-extremism organisation Inspire, said she was relieved the law had caught up with Choudary, saying he has been described as "the gateway to terror". "He has enticed those individuals who were on the fringes of society towards supporting violent extremism and giving them, behind closed doors, justification for committing acts of violence in the name of terror - those who heard him then went on to commit those acts of terror." The pair caused "frustration for both law enforcement agencies and communities as they spread hate", said the head of the Metropolitan Police's counter terrorism command, Commander Dean Haydon. "We have watched Choudary developing a media career as spokesman for the extremists, saying the most distasteful of comments, but without crossing the criminal threshold," he said. Passing sentence, the judge, Mr Justice Holroyde, said the pair "crossed the line between the legitimate expression of your own views and a criminal act". "A significant proportion of those listening to your words would be impressionable persons looking to you for guidance on how to act," he said. He told Choudary he had failed to condemn "any aspect" of what IS was doing, adding: "In that way you indirectly encouraged violent terrorist activity." The judge said that in one of Choudary's speeches he referred "happily to the prospect of the flag of Islam flying over 10 Downing Street and the White House", and in another set out his ambitions for Islam to "dominate the whole world". Choudary's supporters included the men who murdered Fusilier Lee Rigby - Michael Adebolajo and Michael Adebowale. Mr Justice Holroyde went on to describe Rahman as a "hothead" while Choudary was more "calculating" and more experienced, adding that both men were dangerous and had shown no remorse. Choudary's lawyer, Mark Summers QC, asked the judge to take into account the impact of solitary confinement on his client's mental welfare when deciding how long he must serve in jail. He added that he couldn't decide sentences based on "speculation" over whether Choudary would be held in solitary confinement "to minimise the risk that persons such as you two will radicalise other prisoners whilst serving your sentences". "I do not think it would be right to reduce your sentence because of the possibility that your own behaviour may cause the prison service to deal with you in a particular way," he said. The court also heard Rahman has a previous conviction from 2002 for criminal damage and possession of an offensive weapon.